Dating is one of the biggest stress factors for successful women - but it doesn't have to be that way. When you’re a 35 female single, have focused on your career and are now waking up to a desire for love, partnership and family you’re in for a rough time. Welcome to the world of ghosting, endless coffee dates and a string of heartbreaks… It’s a worldwide phenomenon creating stress for women in Japan, China, Australia, Chili, US, Canada and Europe, just to name a few… even if dating was fine in your 20’s, even if you look like you walked out of the cover of Vogue and even if you’re the star of any party – and here’s 3 Mindset Shifts to change that today. The quest to find your soulmate can unlock your highest potential and doesn’t have to take more than 4 – 10 new dates*. We think it’s all a matter of statistics, and we keep going on these terrible life sucking dates even as we see it isn’t working. Remember the Knights setting out on their romantic quests for love? See dating as the ultimate quest, and every date as a powerful challenge to bring your spiritual path into practice. Dare you show what you feel when your date walks in the door, or do you hide and let the moment go by? Dare you expect to be treated like a Queen and ask for what you want? Do you open up in the first kiss? Do you trust the “yes” and the “no” in your body and act upon them? Dating is an energetic process, and it’s meant to let you grow and evolve into the lover, beloved, partner and mother you want to be. When you let fear hold you back, grasp or push away, you don’t unlock more of your potential, and you will be getting the same challenge over and over – and dating becomes a stress inducing hell. Meet the challenge, breathe into the fear and the universe responds immediately: you’re sent a new challenge. My clients find their soulmate in a jaw- dropping 4 to 10 new dates – even when they went on 100 dates before. Not only that, dating becomes like the ultimate ground to walk their talk and bring their spiritual values into practice, allowing them to unlock their greatest potential quickly and find more well being and less stress. That’s win win for sure! We were shocked to learn that in our world of over 6 billion people, no one is more than 10 steps removed from us. My clients find their soulmate is most often already on the same dating app as they – meaning he’s only 1 step removed. Now when you take the Law of Attraction seriously, and know he’s only 1 step away, do you see how fast this can go? 80% Of my clients find a soulmate within half a year* – and so can you. According to the Law of Attraction, your most powerful source of attraction is your core, your divine and feminine essence – identify where you are still judging the feminine with all her emotions and vulnerability, allow your body to become her temple, root into Mother Earth, and allow your essence to shine fully. Stop letting your strong masculine hold her back, instead let him support her. Embody the relation between the masculine and the feminine that you want to attract. Make choices from your heart, your essence. When you allow your core to shine through in every act, every word, every gaze, you are implicitly giving permission to your date to do the same: he will now come from his powerful masculine. We call this “holding the space for pleasure and intimacy”, and it’s a powerful feminine art only few women know. Simply said, holding the space means you show up aligned, he shows up aligned, and the two of you break free from the expected and meet heart to heart, soul to soul. It’s all about stopping to interfere, allowing the Law of Attraction and holding a space where the magic and butterflies can happen. Unlocking our highest potential is maybe nowhere as scary as in dating, and instead of openly setting our goals and surrounding ourselves by the best mentors, we do exactly what we shouldn’t do: we keep our goal secret and don’t get adequate support. To be fair, up till 10 or even 5 years ago, there were hardly any mentors who held the vision that dating is the ultimate quest and the ideal ground to unlock your highest potential, find well being and reach your goals. Just like the mentoring revolution took the professional world by storm, showing us that unlocking our potential helped us get more well being and greater performance, so I feel we’re at the beginning of a new tide in dating and I’m excited and thrilled to be spearheading that in Europe. 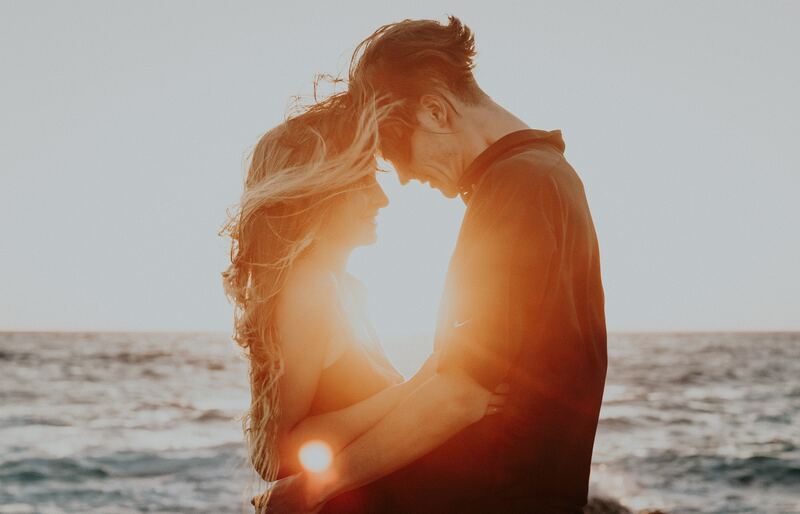 My clients are stoked to find how to reach their goals in dating, love and relationship without killing the magic – indeed, they have more magic than ever. Gift yourself the best mentor around, free yourself from the dating hell and find your soulmate and begin a relationship were the two of you grow together and unlock your highest potential, leading to more wellbeing and better performance as lover, beloved, partner, and parent just as well as at work! Stress is maybe the #1 epidemic of our time, and with these 3 Mindset Shifts you can greatly reduce the stress in finding a life partner when you’re a single 35+ successful woman and you wake up to a desire for love, partnership and family alongside your career. Dating can actually be a source of joy and growth, and it’s like this beautiful half year transition and transformation time to go from your single life into a life as lover, beloved, partner and mother. You will develop the exact skills and mindset that you need to stay sane and happy within the relationship and create a loving nest for your family. Start today by going back onto that dating app with new zest and presence, setting your goals and getting a mentor and allow yourself to finally start to shift to the receiving end of love. *Note1: these numbers are for clients under 40 who have a reasonable level of personal development, show up fully, follow the program to a T and ask questions until they’re crystal clear on the process. **Note2: the National Statistics measures per age group and per 5 years, and actually doesn’t follow one age group but compares different age groups at one given moment in time. The numbers given here are my personal estimations derived from these facts, and better numbers to cover this world phenomenon are badly needed! Klara is a theoretical physicist as well as as a top Dating and Love Mentor in Europe to successful women, revolutionizing the dating world by showing it only takes 4 to 10 new dates to find a soulmate. Her vision: dating is the ultimate quest to unlock your highest potential, have well being and reach your goals.